Today, I’ll like to share the information to help others who may need it in the future. 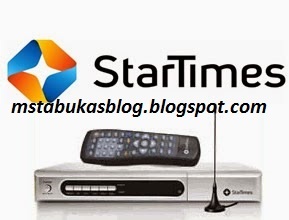 They are several convenient methods which subscribers of startimes can use to recharge their decorder when/before their subscription expires. We will be looking at the SMS Recharge Method and Online QuickTeller Method. Subscribers can recharge their decoder by sending their Smartcard number and Recharge PIN via SMS to 32055(This number works for all GSM networks), using this format CC#Smart Card Number#PIN Number E.G CC#23087**********#279**********. (Don’t leave any space). You will then a confirmation message shortly after sending the SMS. Startimes recharge card can be purchased at any of their branches and also from authorized dealers nationwide. Startimes subscriber can now recharge their decoder via Quickteller Online platform. To use this service, subscribers must posses an Interswitch powered debit card or a Verve Card. Then log-on to www.quickteller.com/starTimes. You will then be prompted to enter your Smartcard number and other necessary information, then click CONTINUE to finalize your payment transaction. After you payment has been verified, Your account will then be activated immediately, this process would take a couple of minutes.